Whilst a fully ruggedised tablet such as a Getac is ideal for harsh or demanding applications, a simple iPad, Galaxy, Surface or even a Kindle tablet can be used in some cases to do somewhat similar things, albeit without the brute strength of their rugged counterparts. 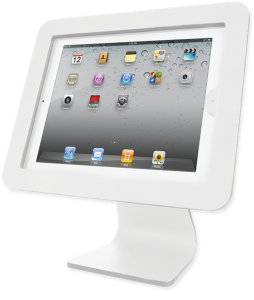 A simple mobile iPad for example will never be a Getac substitute, but with our help we can help protect your devices with a range of secure device enclosures. 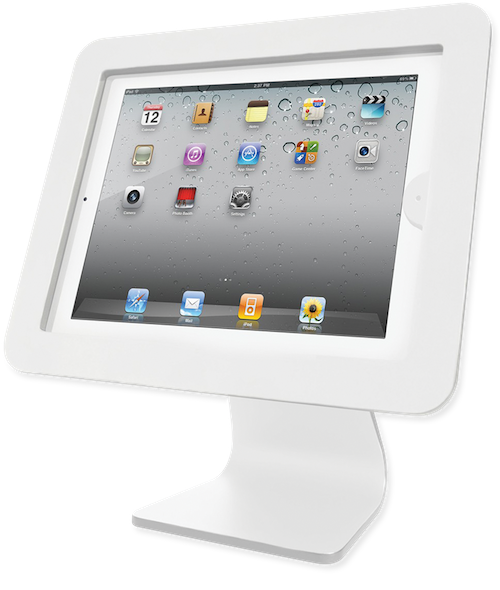 From hand, wall, desk or floor mounts, we offer a range of enclosures that will help protect the majority of common tablets in use today. 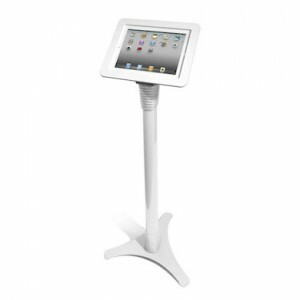 We also offer swivel stands, straps, screen protectors and charging cabinets. These devices can be used alongside our range of industrial PCs where IP rating, hygiene concerns or ultimate strength are not key factors, but where budget possibly is. 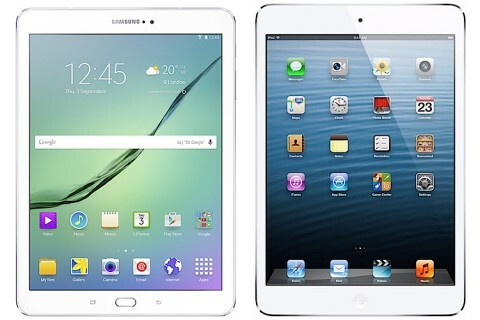 We also supply a range of tablets to suit your requirements. Please contact us to find out more. 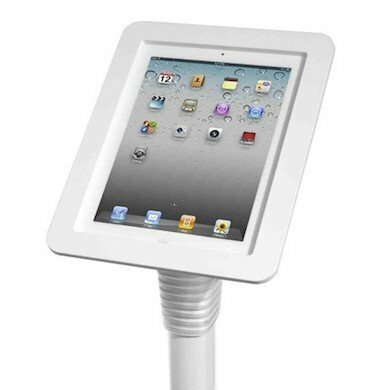 Secure your mobile tablets with this universal ergonomically designed hand grip. 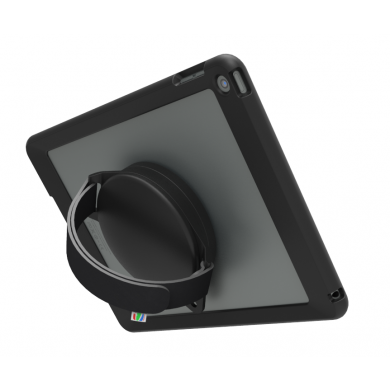 It connects to the tablet with industrial strength adhesive with an adjustable strap for a comfortable fit. The grip is designed with a 360 degree screen rotation and is available with optional stand or shoulder strap too. Our secure tablet floor stands fit most common tablets. These lockable stands are made from high grade aluminium with a cast iron base for maximum stability and are available with a portrait / landscape swivel option. The Brander range can be branded with your own company logo. 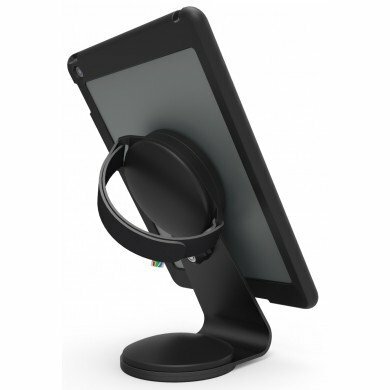 This all in one stand combines all the advantages of a tablet Enclosure, but with an all-in-one desk-top bracket, making it a perfect all-inclusive tablet security kiosk ideal for bench or desk mounting. Ideal for industry, health-care, corporate, retail and point of sale environments. 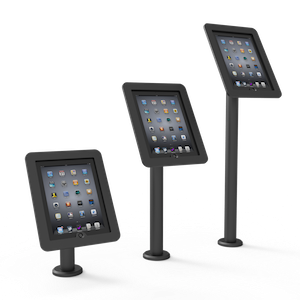 The Rise family is a secure stand enclosure suitable for all common tablets. 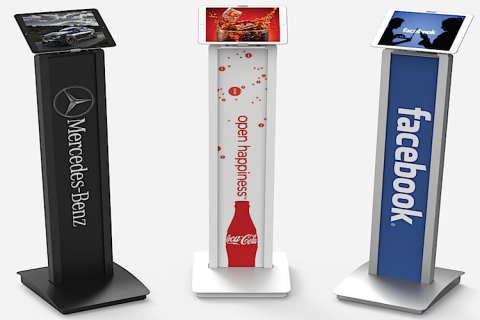 With adjustable screen angles and available heights from 20cm, 40cm to 80cm and with full cable management, this enclosure is ideal for use as a reception display kiosk or general information stand. 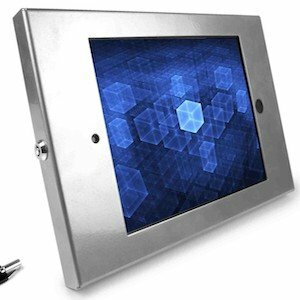 Available for most common makes of tablet, our metal wall mount is closed on all sides to provide a tamper-proof security solution that has a cut-outs inset for access to all the buttons on the front bezel. The charging cable is secured within the enclosure with an opening to allow for mounted charging. 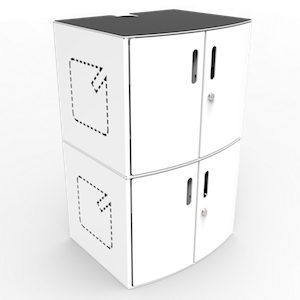 We can supply secure tablet charging cabinets with capacities of 8, 10 16 and 32 units. With their modular design they be adjusted to house all of your mobile computing devices. Our cabinets use device power connections on your devices and the cabinets can be stacked to save space. "Over the years, CabinetPro have provided a constant level of excellence in both customer service to us, the reseller, and in the products we in turn supply to the end user. I have found their touchscreen PCs to be reliable and sturdy in factory floor use."